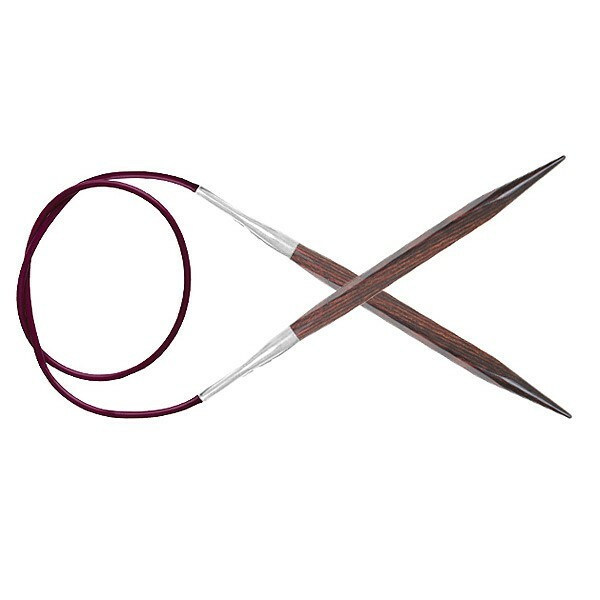 Amazing square circular needles from KnitPro made of the exclusive Symfonie-wood, laminated Birch, which is subsequently chopped and polished in a beautiful rosewood-color. The square shape of the needles makes it easy for everyone to use them - beginners as well as seasoned knitters. The square shape of the needle is ideal for all knitters, as it is easy to hold and is less fatiguing to hands and fingers. For the same reason, it is also handy to use if you have problems with arthritis or bad wrists.